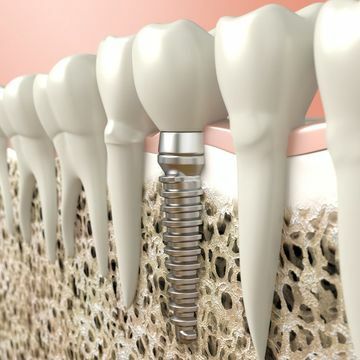 If you are missing teeth, dental implants are the best means of supporting crowns, bridges, and dentures. 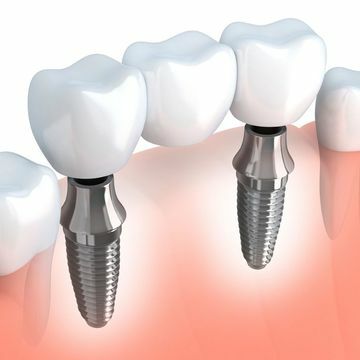 These titanium posts replace your tooth roots, integrating with your jaw to become permanent fixtures. Once your jaw has healed, Dr. Bousaba will attach your restoration. 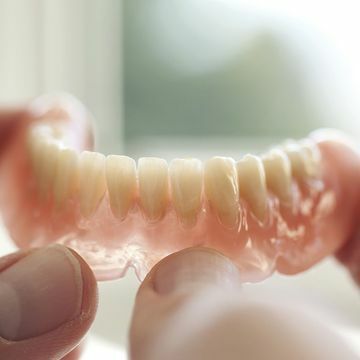 We offer a full range of implant-supported restorations, including fixed hybrid restorations, same-day dentures, All-on-4® dentures, and teeth-in-a-day. We can treat widespread tooth loss with a custom-crafted denture. Thanks to modern techniques and technology, you can choose from several types of restorations. Options include full, partial, removable, and implant-retained dentures. Your oral health and the number of teeth you are missing will determine the right type for you. You can depend on us to provide a custom-made restoration that will be almost identical to your natural teeth. If you have a small to moderately sized cavity, a filling is used to strengthen and seal your tooth, preventing future decay. Dr. Davey Crockett places only tooth-colored fillings and carefully designs your restoration to match the shape and color of your tooth. 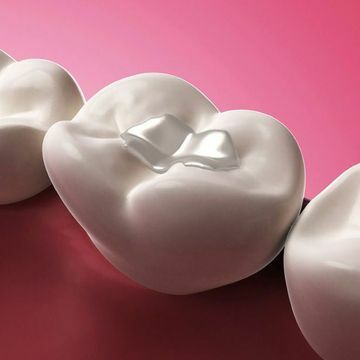 Unlike silver amalgam fillings, porcelain and ceramic restorations will never show through your tooth, and also bond more securely to the tooth's surface. Crowns repair cracked, weakened, or aesthetically damaged teeth. At Crockett Family Dentistry, we work with an in-house, world-class ceramist, who designs your restoration to blend with your smile. For optimal aesthetics and a natural appearance, we often provide IPS e.max® crowns. 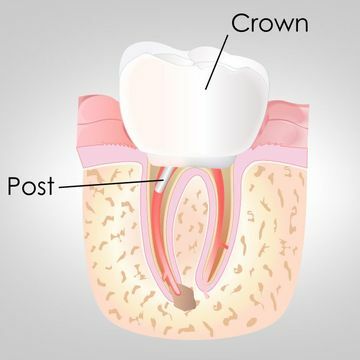 It typically takes two weeks to craft your crown, during which time you will wear a temporary restoration. If you are missing one or more teeth, Dr. Bousaba can place a bridge made of several crowns fused together. Our partner ceramist will craft your bridge, using photos and impressions, to ensure a near-perfect appearance. After it is finished, Dr. Bousaba will secure it, reshaping the two adjacent teeth to uphold the restoration. Alternatively, he can often place an implant-supported bridge. Full mouth reconstruction is a multi-step, fully customizable procedure to address widespread dental damage. Dr. Bousaba will work closely with you to choose the restorative procedures that best meet your needs. Cosmetic procedures are often included as well. With his years of experience, advanced technology, and in-house ceramist, Dr. Bousaba is a smart choice for your reconstruction. Our modern and virtually painless approach to root canal therapy can relieve pain and help you avoid the need for tooth extraction. 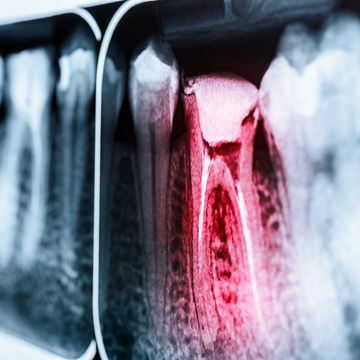 It involves removing infected tissue from within the tooth and preserving the exterior. Finally, the tooth is restored with a custom dental crown. Bone grafting can rebuild your jawbone after you have suffered from jawbone deterioration. 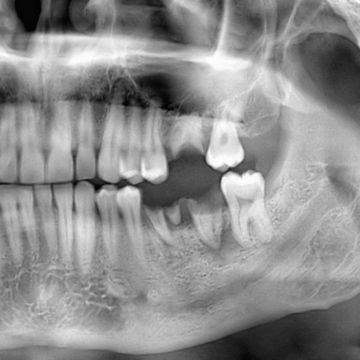 Certain restorative procedures, such as receiving dental implants, require sufficient jawbone density in order to be placed. Gum recession can lead to tooth decay, gum disease, or even tooth loss. To help prevent these ailments, soft-tissue grafting can correct these painful issues by lengthening the amount of gum covering your teeth. 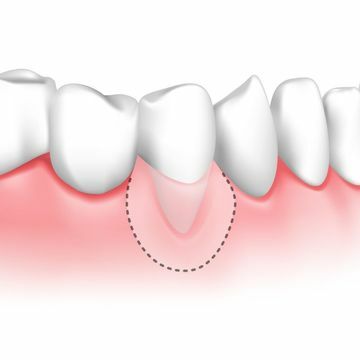 Soft-tissue grafting is usually used for restorative procedures, but it can also be used to cosmetically correct your gums. A sinus lift is typically combined with bone grafting to strengthen the treatment area and make room for an implant in the upper jaw. 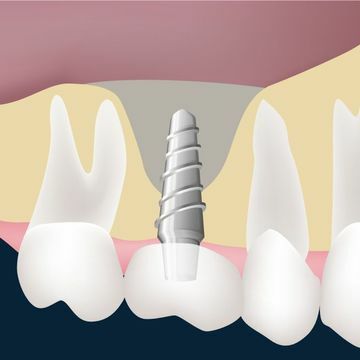 Patients commonly undergo this surgical procedure to improve their candidacy for dental implants as tooth loss can cause the jaw bone to shrink and recede.